Police arrested a 28-year-old man on Sunday night, after a demonstration outside a Dartmouth, N.S., jail where inmates had been staging a peaceful protest for weeks. Police arrested a 28-year-old man Sunday night after a demonstration outside a Dartmouth, N.S., jail where inmates had been staging a peaceful protest for weeks. 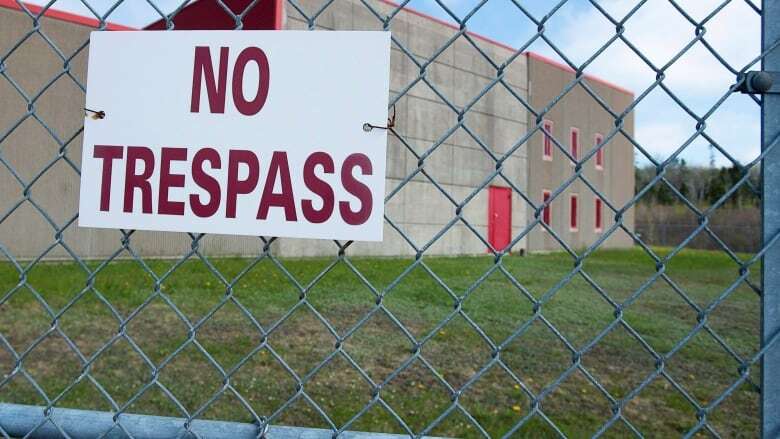 About 30 people were gathered at the Central Nova Scotia Correctional Facility when police said they received a call around 8 p.m. reporting that some protesters had been shooting fireworks at the jail and were trying to climb the fence surrounding the property. Officers removed the protesters when they arrived on scene at the request of jail supervisors, Halifax Regional Police said in a release. A man was arrested during the removal and faces charges of causing a disturbance, property damage, obstructing a peace officer, assaulting a police officer and wearing a mask while committing an indictable offence. He will appear in provincial court today. But one demonstrator said Monday that the crowd was leaving as police arrived. Daniel Whitten added that none of the protesters were attempting to go over the fence. The demonstration was intended be loud so inmates inside could hear it and would know their campaign for better conditions, which was launched last month, was being supported. There were fireworks, Whitten said, but they weren't being fired at the jail. "There wasn't even time for us to speak to the police or the police to speak to us," he said. "They charged right out and tackled one of the people standing by the fence. "And when people were asking them why they were doing it and telling them that nobody even asked them to leave, they immediately, without warning, pulled out pepper spray and pepper-sprayed the crowd." Sakura Saunders, a demonstrator who said she was there to act as a liaison with the police, said officers ignored her when she tried to speak with them. She said the protester who was arrested may have been on the fence about 30 centimetres off the ground but wasn't climbing it. "Why would anyone in their right mind try to crawl into a prison?" said Saunders. "That the cops would assume this and come barrelling into a protest, without peacefully engaging and without non-violently engaging, and just immediately run up and violently engage the protesters shows how irrationally the police were behaving." She said police used pepper spray and one of the officers let a police dog off its leash. "We just wanted to boost the morale of the people on the inside," said Saunders. "If the police had engaged with us for even one minute in a non-violent way they would have known that we were on our way out and we could have peacefully resolved the situation." Police spokesperson Const. John MacLeod said he could not speak to the specific police actions at the protest. But depending on a situation, police may use dogs or make arrests at protests without prior warnings, he said. "Our goal is to allow people to protest safely and within the scope of the law," he said. "However, when we find ourselves in a position where people are certainly … breaking the law we certainly need to deal with that. And that's what we found." After leaving the jail, some of the demonstrators gathered outside police headquarters in Halifax to protest the arrest, police said. They were demonstrating peacefully and left on their own, police said. Inmates at the Burnside jail joined a prisoner campaign that started in the United States on Aug. 21, calling for improvements in health care, rehabilitation, exercise, visits, clothing, food, air quality and library access. The protest was set to end over the weekend.